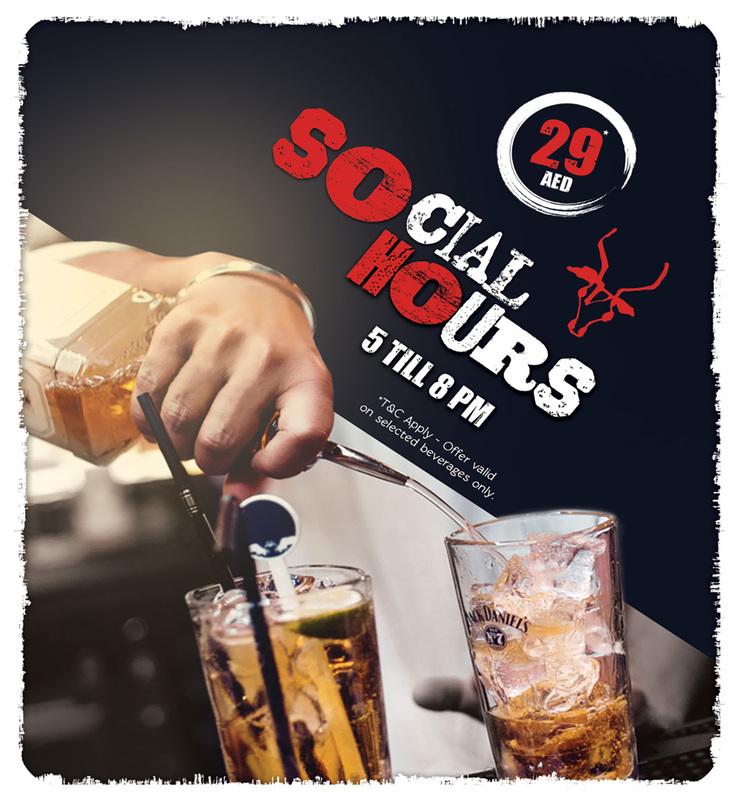 Enjoy selected drinks daily from 5pm till 8pm. 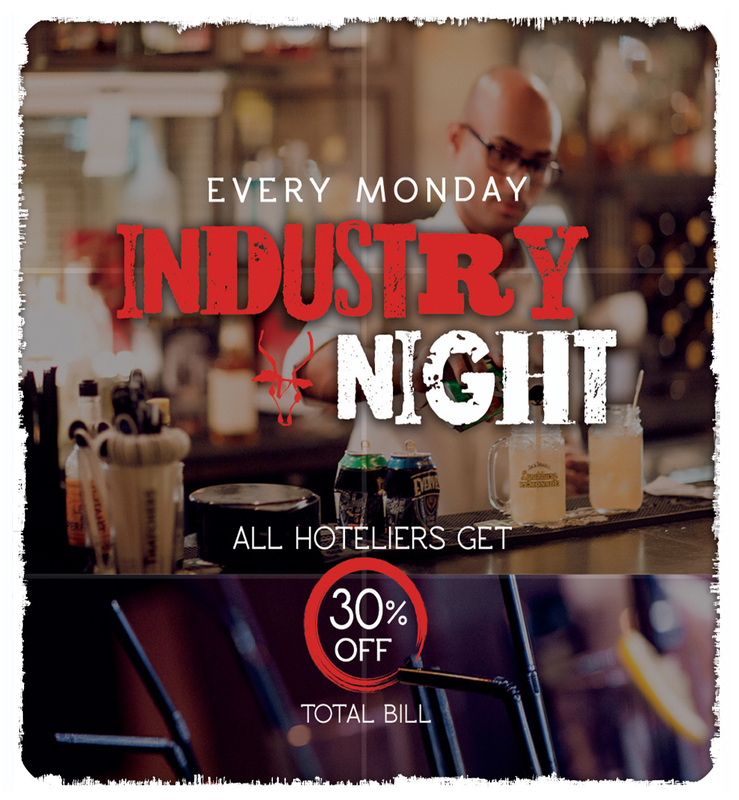 Inviting all hoteliers every Monday to come visit for our Hoteliers' Night and get 30% off your total bill. Hola! Craving for Nachos? 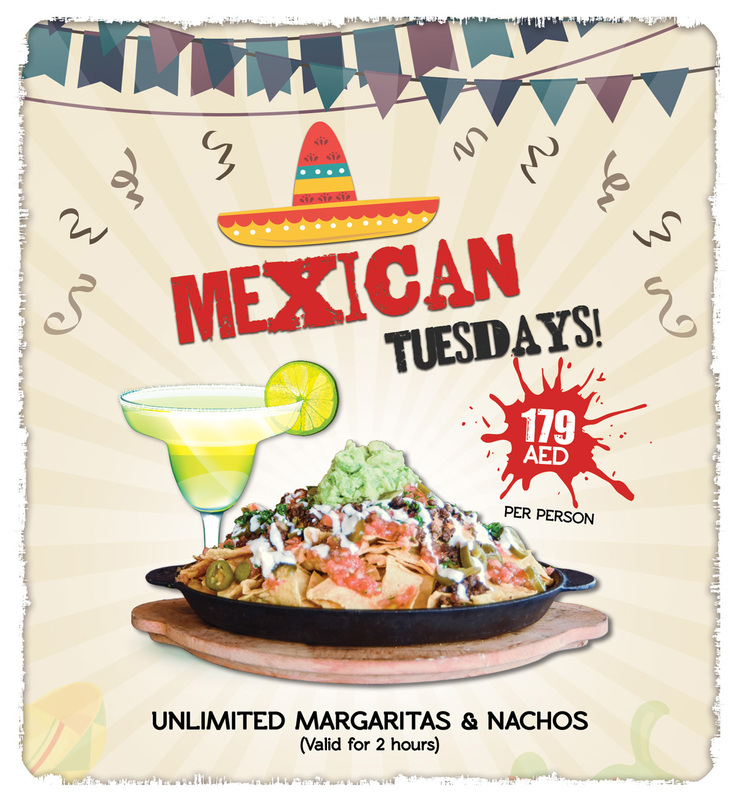 Come visit us every Tuesday and devour Unlimited Margaritas and Nachos to your satisfaction. 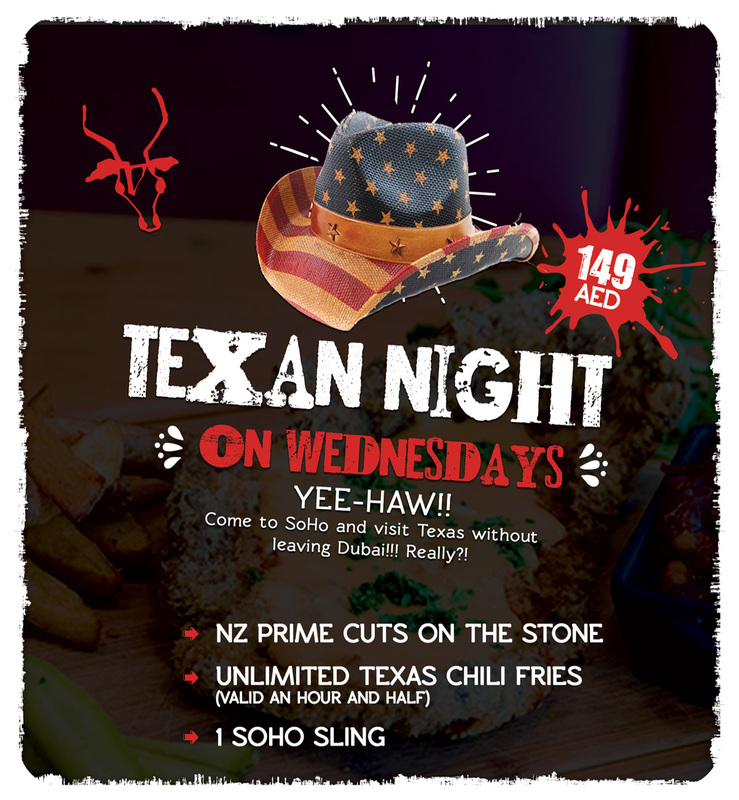 Try our Texan Night every Wednesday! Delectable Texan dishes only for you on a great budget. 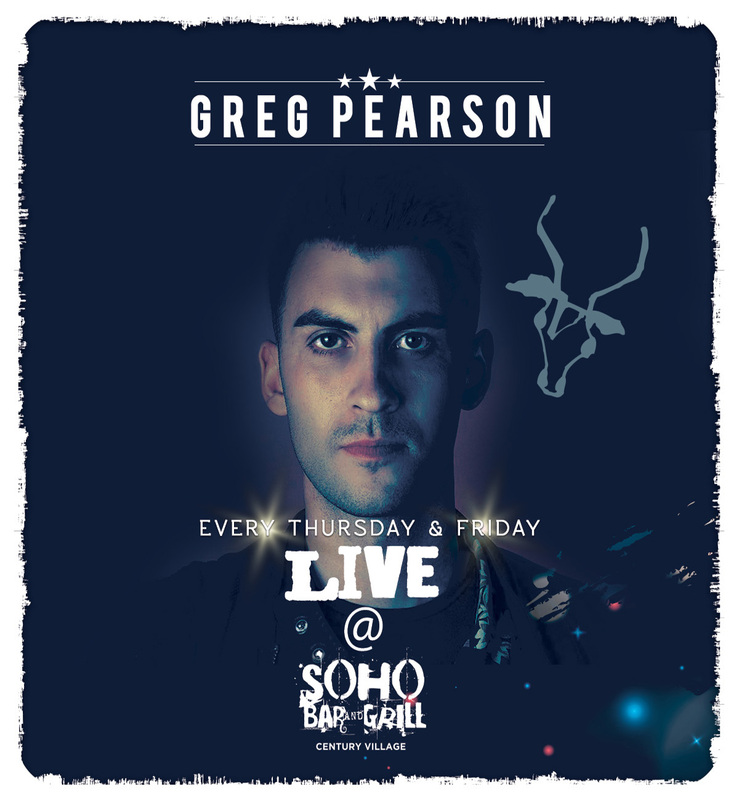 Complete your night with a live music at Soho Bar & Grill with Greg Pearson! 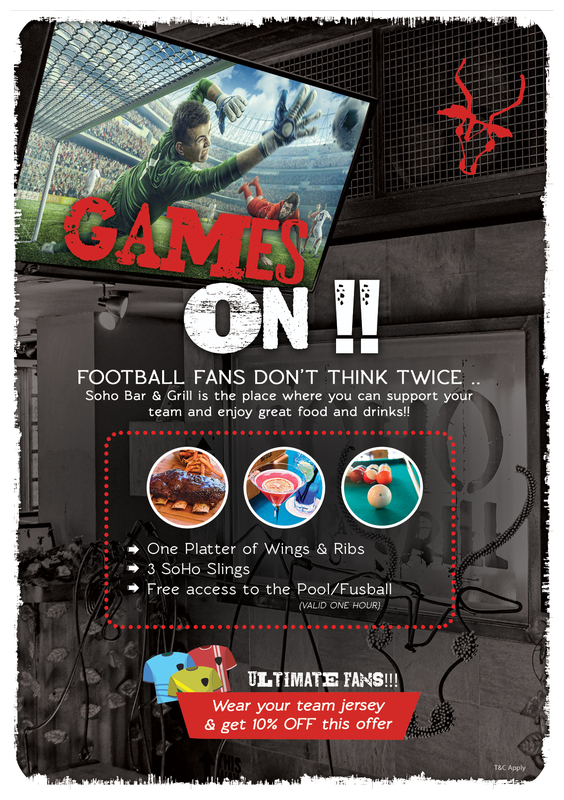 Football fans come rejoice every Saturday and Sunday to support your team and enjoy great food and drinks!